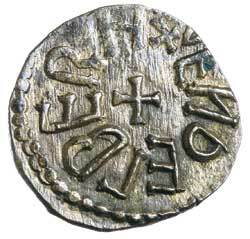 KINGS OF NORTHUMBRIA, Aethelred II, (first reign 841-850) copper styca, (1.09 g), moneyer Vendelbehrt (S.865, N 188). Toned, nearly extremely fine and scarce. 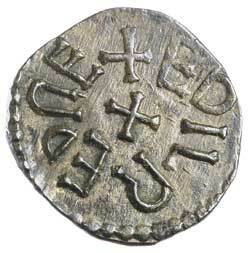 Ex Matthew Rich Collection and previously York Coins, H5112, May 2013.